Here is a fun challenge that I thought you might like. 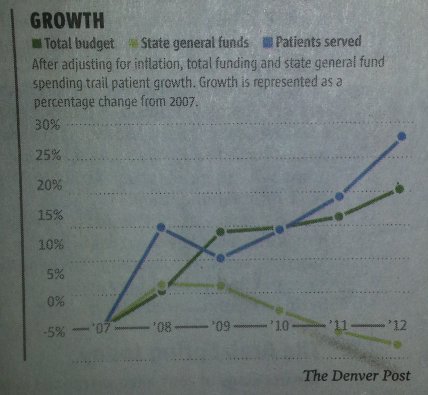 I saw this chart in the Denver Post and I wondered how we could recreate it in Excel. I have posted the data below and I will post a chart on Monday to show you 2 ways you can do this type of chart. Let me know if you figured it out in the comments below. My solution has been sent.